For bars, breweries, and nightclubs, true success is not just measured by high sales and large crowds. The ultimate goal is achieving status as one of the hottest venues in your area. In most major cities, customers already have so many nightlife venues to choose from, so it can be difficult for new bars and nightclubs to break into the scene and attract high quality crowds. To stand out, bars must consistently provide exceptional service and have a nightclub or bar POS system that integrates seamlessly into that experience. The right bar management software can help owners and operators increase their profit margins and better understand both their business and their customers. More importantly, however, the right POS system can also enable staff to provide top-notch service that delights customers and ensures that your business always remains ahead of the curve. If you’re searching for a new bar or nightclub point of sale system, here are 10 must-have bar POS features to ask about. Ask a bartender about the wackiest drink order they’ve ever concocted, and they’ll probably list off a slew of cocktail combinations you’ve never even heard of. The skills needed to make those drinks are one thing – which is why many bars and nightclubs have apprenticeship training programs – but the skills needed to ring up those orders on the POS system are another. As a bartender or server, this could be one of the more grating requests a customer could make. It could mean you have to remember what everyone ordered, go back into the system, and print several checks for each person. It might also mean your guests have a spurring debate about who’s going to cover the nachos everyone partook in. Maybe slightly less annoying – but still annoying nonetheless – is a customer who orders at the bar while they’re waiting for a table, and leaves without closing out. Credit and debit card preauthorization (or “preauth”) allows bartenders to swipe a customer’s credit card, securely save that information as their bar tab, and verify that the card is real and has a preconfigured amount of funds on it. Why is this important? In the bar and nightclub industry, things move fast, and besides having to look out for fake IDs, you might also have to look out for fake credit cards. With preauth, you limit due to fake and stolen cards, as well as liability of large, unpaid checks due to insufficient funds. You can also customize the amount that you preauthorize, only allowing cards that have a certain amount, whether it’s $1, $50, or the exact amount on the check, to be used. Bar or nightclub software with preauthorization will immediately tokenize and encrypt customer credit card information when it’s swiped, so no sensitive information is stored on the device. Drink specials, happy hour specials, pitcher specials – not to mention weekly inventory changes from your beer and liquor vendors – makes your menu a living, breathing entity. With a cloud-based POS system, you can add your specials on your phone, while lying on your couch at home. Or, if you’re suddenly out of a keg, you can ’86 an item with the tap of a button, and communicate that change to every bartender or server, so they know immediately not to take those orders. 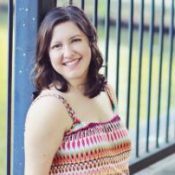 Allison Tetreault is Content Marketing Manager at Toast, Inc., where she manages the Toast Restaurant Management blog.